Put 2 tsp of the fromage frais and a pinch of herbs into each of six ramekin dishes. Add a third of a slice of smoked salmon, cut into fine strips, then one egg and salt and pepper. 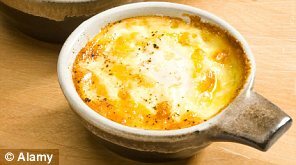 Place ramekin dishes in a high-sided saucepan filled with boiling water like a bain-marie. Cover and cook for 3–5 minutes over a medium heat.